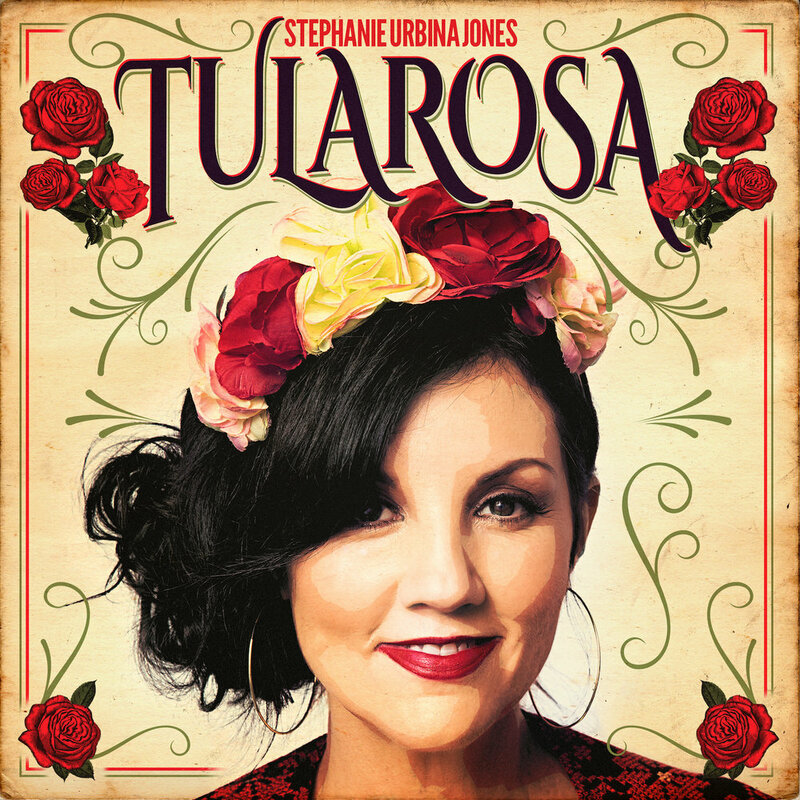 When Stephanie Urbina Jones starts to unwind the story of how her new album, Tularosa, came to life, it’s hard to stop repeating, “Wow. Really?” Her narrative has so many twists and turns, so many meant-to-be moments that can only be described as karmic, it sounds like a fairytale. But then, so does her entire career. We’re talking about a woman who moved from Austin to Nashville to work with the Texas Tornados’ management agency, landed a songwriting deal almost on a whim, had one of her first efforts become the title track of a Lorrie Morgan album, then watched a competitor on TV’s The Voice win season seven and score a No. 1 Billboard country chart debut with a song she co-wrote — a song Blake Shelton gave him after sitting on it for 15 years. There’s more. But first, a bit about the album. An inspired marriage of country classics with mariachi rhythms, Tularosa (Sept. 28, 2018) honors both her personal musical icons — no-last-name-needed legends including Loretta, Dolly, Patsy, Willie, Merle, Hank, Kris, Johnny and June — and the Mexican heritage that feeds her sound. But these long-overdue arrangements also reveal something else: the connections between traditional country music and the Hispanic influences that pervade it. Even though her sure, sinuous voice was made to sing these songs in these arrangements, the plan to do so didn’t form until spring of 2016, when Urbina Jones performed a gig in New Mexico with guitarist Patterson Barrett. Deciding she wanted to spice up her set, she asked Facebook friends for a percussionist connection and was put in touch with Sound Production of Tularosa, a local recording studio. The owner promised to hook her up with someone, but only if she’d visit his studio after her show. Reluctantly, she agreed, then contacted the player. He asked if he could bring his dad, an old-school mariachi. She was thrilled. That night, they performed several country favorites with a mariachi twist. Afterward, a concertgoer introduced himself, said she needed to record with mariachis, and offered to finance an album using an inheritance from his recently deceased mother. “He felt it was important music to make to bridge the cultures and heal the divides between so many people’s hearts,” she explains. That was music to her ears, until she heard the amount: $3,500 — a fraction of what she knew it would cost. But she also knew she had to say yes. Then she went to see the studio, not expecting much. She’d already written an album about her great-grandfather, Manuel Urbina, who went to the Vatican to study for the priesthood but ended up crossing the border to become San Antonio’s first Mexican Baptist minister. She didn’t want to record that in unfamiliar surroundings, however. She and Barrett headed back to Nashville, promising to return; to do what, they had no idea. But she knew the powerful magic already at work would somehow guide them. Other elements quickly fell into place. Radio station La Luz (“the Light”) covered hotel rooms; friends helped with expenses and put them up en route; the studio owner and mariachis, from Tularosa and El Paso, offered price breaks; and players or their families stuffed everyone with homemade pozole or tacos each day. As important as it was for Urbina Jones to honor her beloved influences, she wanted to do the same for the musical genre she calls “classic Mexico.” The album exhibits several mariachi styles, including corrido/polka, huapango, ranchera, cumbia, marcha, bolero and son. Ironically, Hispanic culture was not “just in” Urbina Jones. Her gringa mother and Mexican-American father split when she was young, and she didn’t reconnect with her dad and his family, including her beloved grandmother — her abuelita — until after high school. Urbina Jones didn’t even know that culture, but her grandmother insisted she would find a way. So she went to Mexico to learn, boarding with a family in a small San Miguel house during her three months at a foreign-language institute. She arrived an “entitled American”; she left enraptured by the culture — and committed to telling its story in song. She took her great-grandfather’s name as her middle name, remortgaged her house (the first of three times) and made her first “real” album, 2002’s Stephanie Urbina Jones. Since then, she’s not only learned to trust fate, she’s learned to embrace where it takes her — from performances in 14 countries, including some of the world’s most prestigious festivals (among them Switzerland’s Montreux Jazz Fest and Japan’s Country Gold) to duetting with Nelson at a Fourth of July Picnic and singing with Vince Gill & The Time Jumpers. Her own version of “Shakin’ Things Up” also made her the first independent female artist to hit No. 1 on the Texas Music Chart. “Everyone loves passion. Everyone loves heart,” Urbina Jones explains. Since she declared her mission to celebrate Hispanic culture in song, she’s never wavered from that goal, even though she’s become a Shamanic Minister and Toltec teacher as well. Listeners should do the same; once they hear Tularosa, they’ll know what she knows: These cultures are already united, and this album is indeed meant to be.